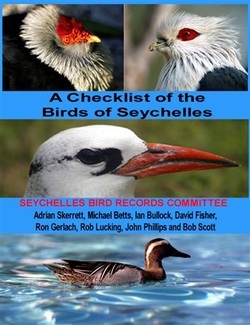 Authored by members of Seychelles Bird Records Committee, this book describes the status of every species recorded in Seychelles, including breeding residents, migrants, vagrants and extinctions. For vagrants, the main focus of SBRC, the number and location of all accepted records is given as well as the time of year. 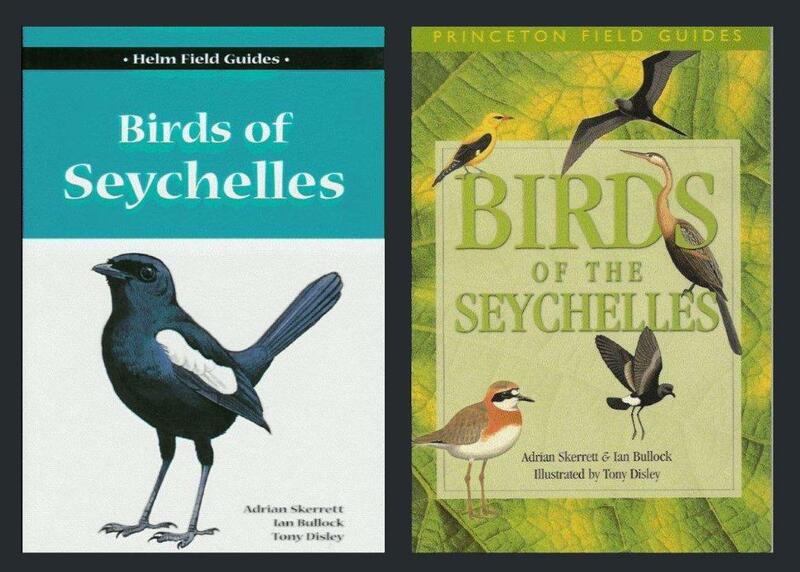 The first comprehensive guide to the birds of Seychelles including all species accepted by SBRC up to December 2000. The text is aimed at the serious observer, rather than the casual one interested only in common and obvious species, but it is at the same time of a non-technical style accessible to all birdwatchers. For breeding birds, the text goes beyond that which would be expected from a field guide with sections on breeding biology, origins and threats and conservation. On sale in Seychelles at Antigone Trading in Victoria & at Seychelles international airport. Available from good bookshops elsewhere including Amazon, NHBS and others. This field guide builds upon the Helm Guide Birds of Seychelles (2001) and has been updated to take account of new information collected in the decade subsequent to publication, including new records for Seychelles, taxonomic changes and changes in status and distribution. The text has been completely rewritten to a field guide format with species accounts opposite the relevant plates and with emphasis upon the key identification figures. The number of plates has been increased both to enhance this format and to include new species confirmed to the Seychelles list. Over 90 new illustrations have been added to depict new additions or to enhance the illustration of key identification features for species already included in Birds of Seychelles. Updated for all new species accepted by SBRC up to January 2011, with a brand new text written in field guide format (text opposite plate) and almost 100 new illustrations. On sale in Seychelles, at Amazon, NHBS and elsewhere. Edited by Roger Safford and Frank Hawkins, the major contributors of information for Seychelles are Adrian Skerrett (vagrants, terns and introductory information) and Gerard Rocamora (major contributor for endemics). 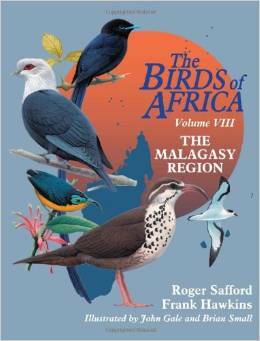 The eighth and final volume in the Birds of Africa series. It covers the Malagasy region including Seychelles. Not only resident species, but every species accepted by SBRC is covered, albeit in less detail for vagrants. This is an absolutely monumental work packed full of detail. It should be on the bookshelf of anyone with an interest in the birds of the region. This field guide in the Helm Field Guides series covers the whole of the Malagasy region, including Seychelles.. Every resident and migrant species is covered in full detail with a colour distribution map for each species. Vagrants are also treated in detail. All species are illustrated on a beautiful series of 124 colour plates. Conveniently, the plates have been arranged so that all the key species of the various archipelagos are placed together in sections. This is a major work of reference on the birds of the region and will remain the standard text for many years to come. This is the human story of conservation not just of Aride but Seychelles. In 1818 Aride was a leper colony, the first recorded inhabitants. It became a plantation growing cotton and melons. It was later cleared of vegetation and Marianne North visiting in 1883 described it as “that scorching island” with only one tree, under which everyone huddled for shade. Its seabirds and seabird eggs were heavily exploited up to 1973. But Aride survived to more enlightened times. Local and overseas conservationists worked together to restore the island to its former glory and today it has become one of the most important nature reserves in the Indian Ocean.